The DoSeum is a proud participant of the Museum for All program. 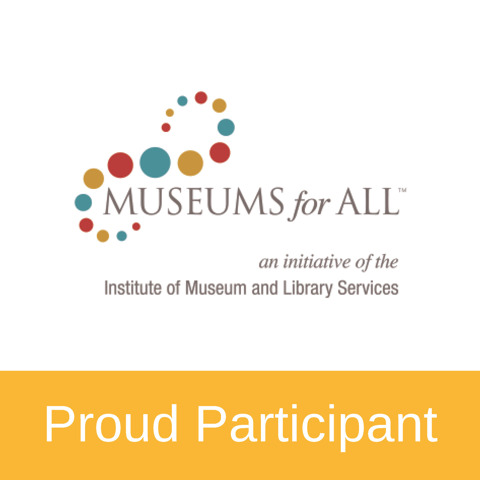 Museums for All is a cooperative initiative between ACM and IMLS to offer a signature access program that encourages families of all backgrounds to visit museums regularly and build lifelong museum habits. Museums for All is a way to broaden a museum’s visitor base and reach out to underserved communities. A museum visit can inspire the development of new skills and interests, ignite creativity and enrich social connections. Museums for All will help expand access to museums and also raise public awareness about how museums in the U.S. are reaching their entire communities. By removing the financial barrier, Museums for All also removes the social and academic barrier families face when they are not exposed to high-quality museum experiences. $3.00 (USD) general admission to individuals and families presenting an Electronic Benefits Transfer (EBT) card and a valid form of photo ID. Rate is offered for up to four guests per EBT card. Admission rate available during normal operating hours. With the exception of building closures, there are no blackout dates. Offer not valid for online purchases. Offer only valid for individual ticket purchases - no group rates.